If you were to play the word association game with street food, our bet is that the whole room would shout out HUGE DIRTY, DELICIOUS BURGERS! 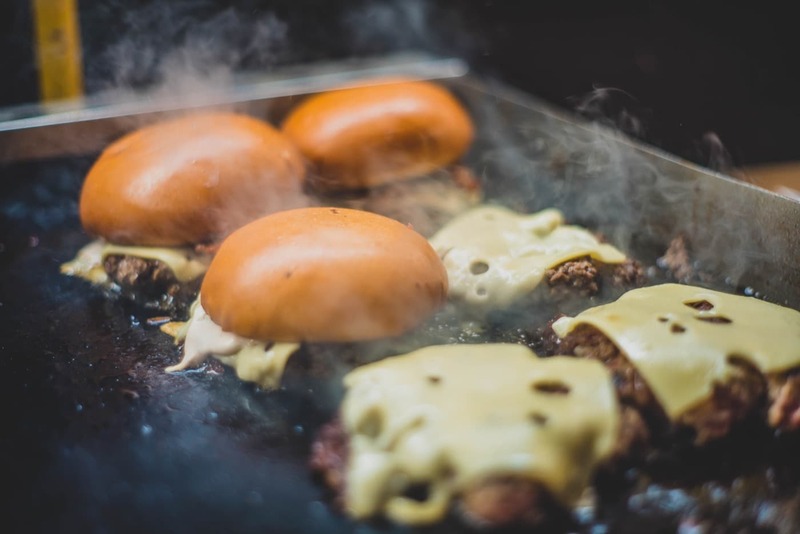 It’s true - the burger is the age-old, most iconic product to adorn market stall grills far and wide since the street food concept began. 10 years ago you’d have been hard pushed to find much else on the food market scene than the trusty Burg but fast forward to 2019 and it’s a very different picture. You only have to look at Borough Market or GRUB Manchester to see delish dosas, tasty tacos and fire-cracking curries with huge, hungry queues. So how can the burger continue to claim it’s crown as the King of Street Food? Well, it needs to adapt - and it needs to get a little cheeky. Brainchild of husband and wife team, Sebastien and Marta, Cheeky Burger was actually a product of their real-life child and Marta’s cravings for burgers during her pregnancy! Seb told us that Marta was constantly saying to him, ‘You’re a chef - make me a BURGER! She’s my wife, she won. So we start playing in the kitchen.’ It was Marta’s burger addiction, paired with Sebastien’s classical French training (and his appearance on Masterchef The Professionals), that saw the birth of award-winning Cheeky Burger. WHAT DOES IT MEAN TO BE CHEEKY? The couple’s literal food baby is a cheeky little chap. It’s not just the banter with customers which is a little tongue in cheek - it’s the actual food itself. Seb and Marta love to play with flavours - especially ones that just don’t sound appealing together like a burger with peanut butter to challenge expectations… ‘My favourite is Hot Daddy,’ Marta tells us, ‘but for Sebastien it is definitely the Elvis.’ We could literally see the love in Seb’s eyes for the peanut butter burger concoction, a massive passion project for him as he admitted it took him a lot of failed attempts to develop it. 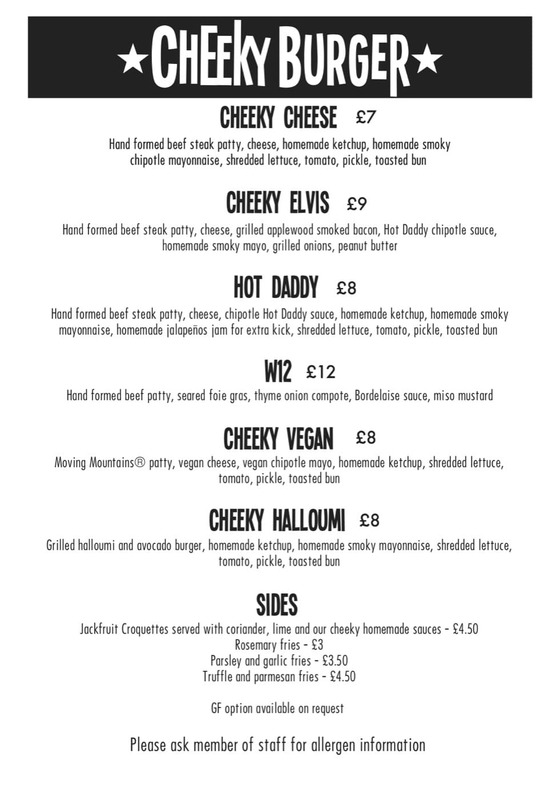 The Cheeky Burger team are renowned for creating an exclusive dish for each residency they appear at, and will be creating not one special burger for their month at W12, but one per week! Alongside their classic burgers, the special menu only available at the residency will see a Tournedos Rossini burger grace the stage, as well as a pulled duck creation and an illusion Vegan burger that will look and bleed just like a beef patty… You do not want to miss out on this experimental and innovative masterclass of burger bliss! From humble beginnings, the team has grown rapidly to cater for all kinds of corporate and private catering events, London markets and festivals such as the Last Days of Shoreditch and Little Feast. Known by their clients as ‘the ones for impossible tasks’ who never say never, they believe no job or location is too difficult. They’ve catered on boats, rooftops in the City, balconies, barns, cricket fields and were even flown to St Tropez to cater for a 40th birthday party. HOW CAN I BOOK THEM? If you want to chow down on an award-winning burger, look no further. 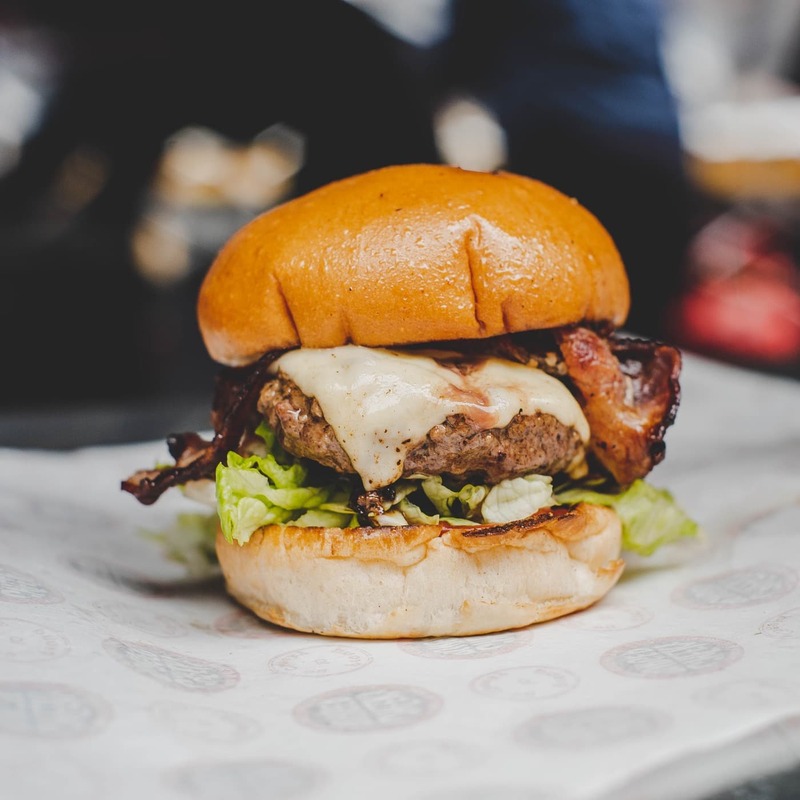 Along the way, the team won the best burger category in the British Street Food Awards in 2016, were finalists in 2017 and were also voted TimeOut Recommended in 2018 amongst many other accolades. 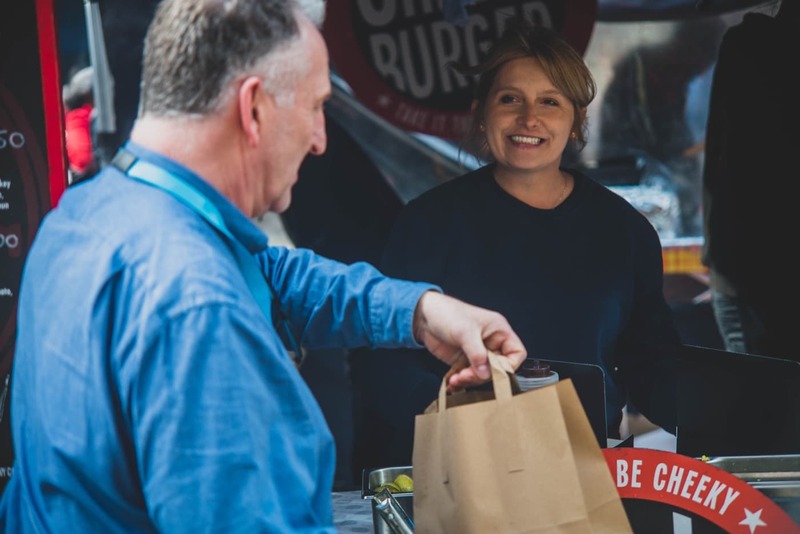 You can find the Cheeky Burger Feast It profile HERE if you want some more info on this innovative team, or you can submit an enquiry form to take your first steps to cheekiness. Want to sample? Get down to our residency at W12 Studios from now and throughout March for a taste of this cheeky flavour-packing burger braniacs!